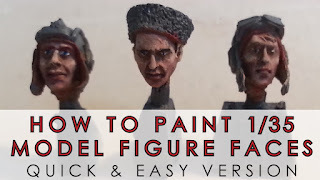 I'm busy putting together a video on how I paint faces. 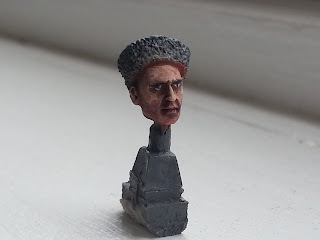 It's a process that is 49% satisfying, 49% nerve-wracking, and 2% mysterious as I never quite know what the final face will look like until it is done. 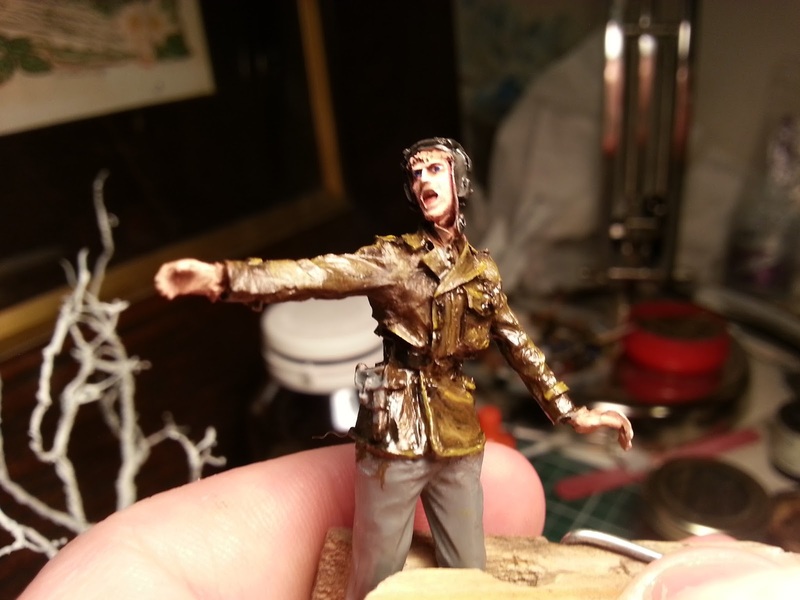 Here's a photo of tonight's progress. 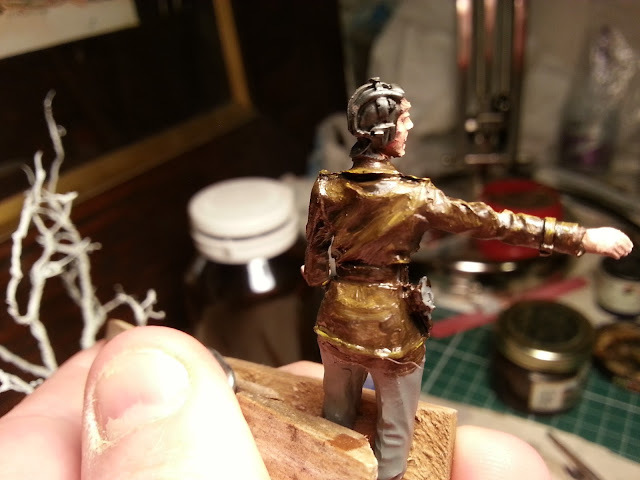 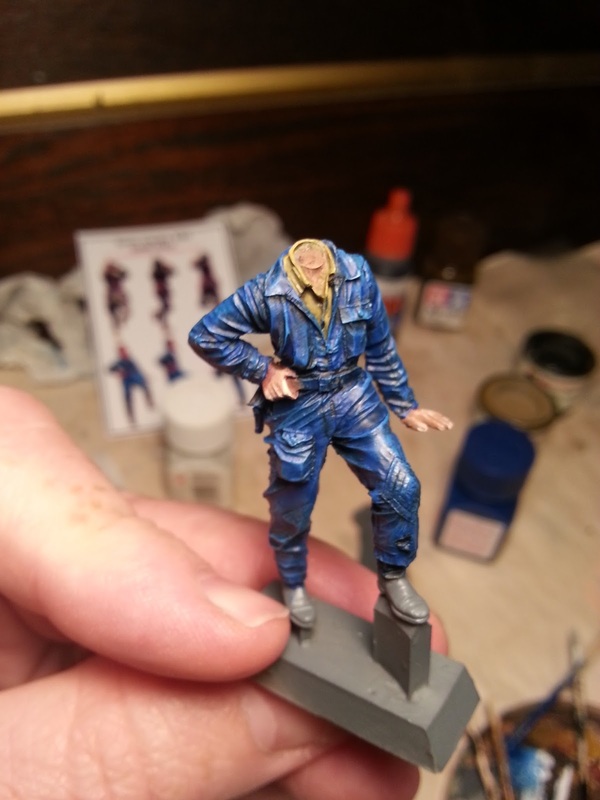 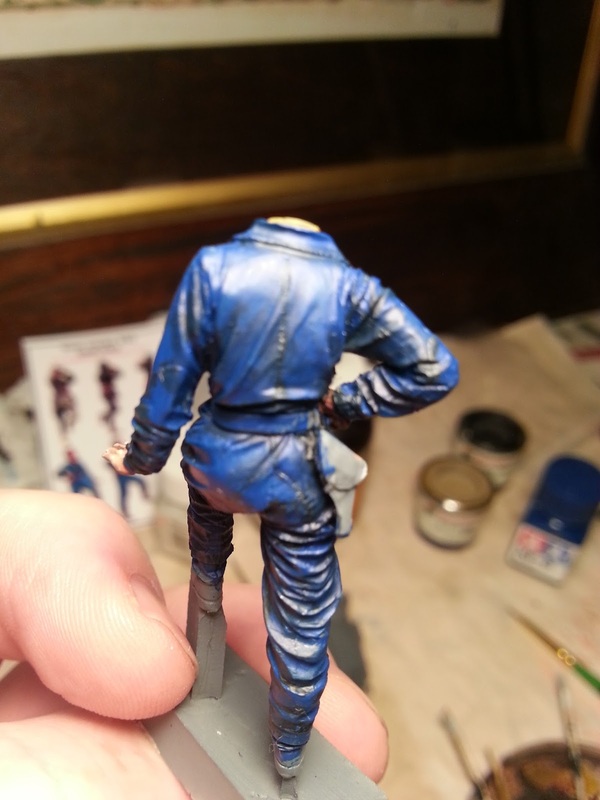 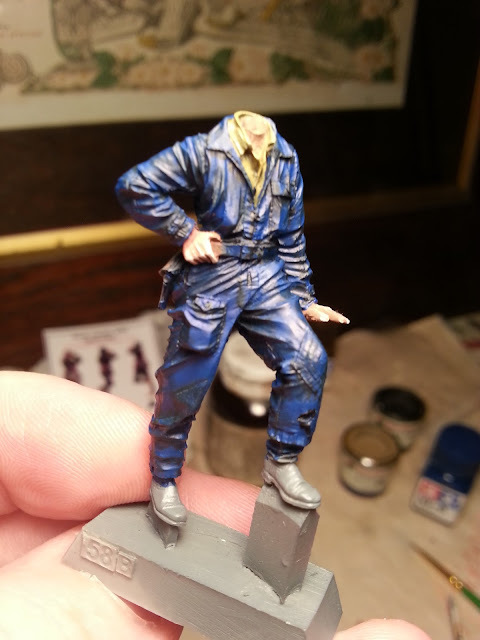 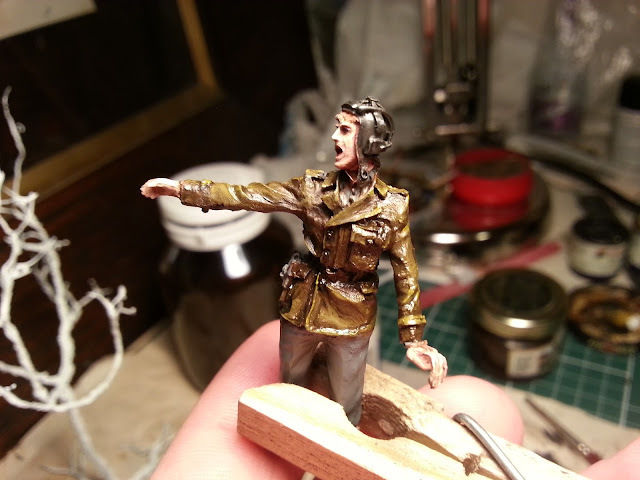 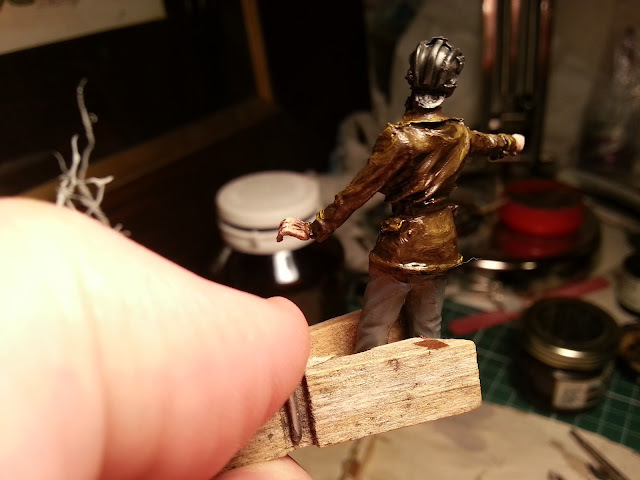 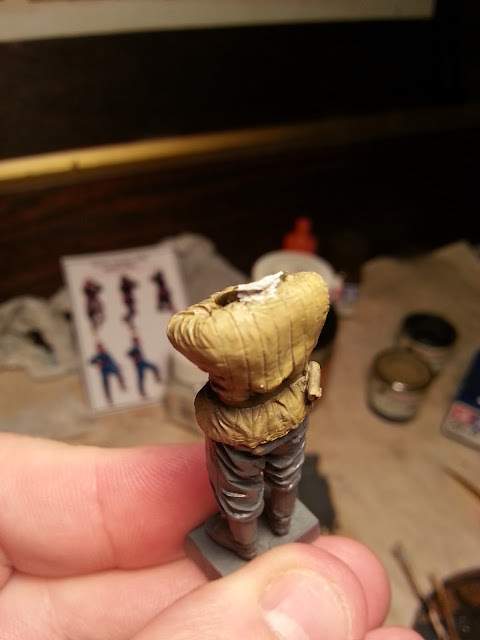 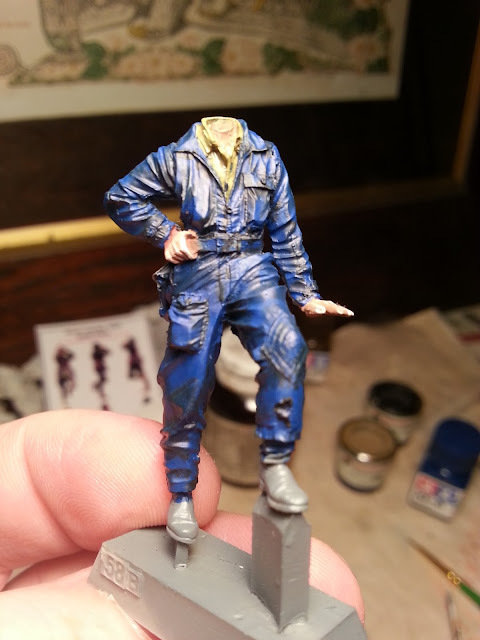 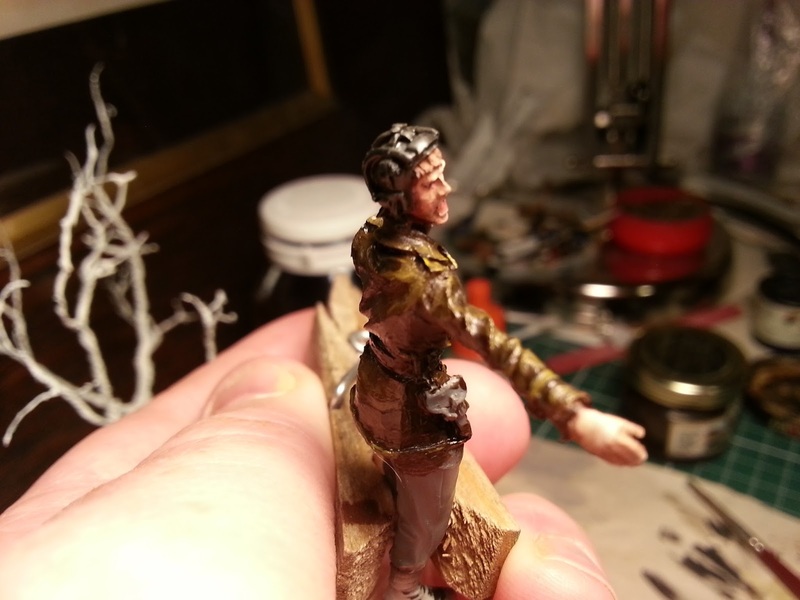 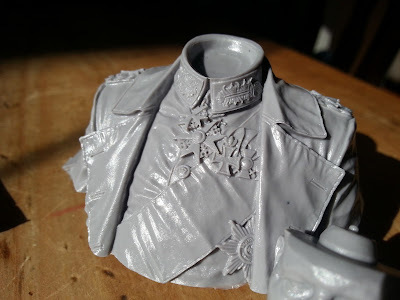 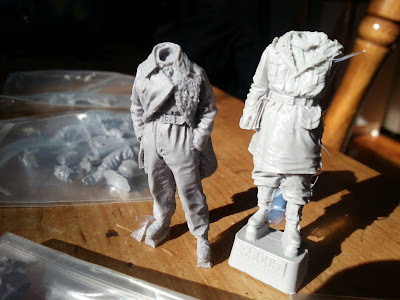 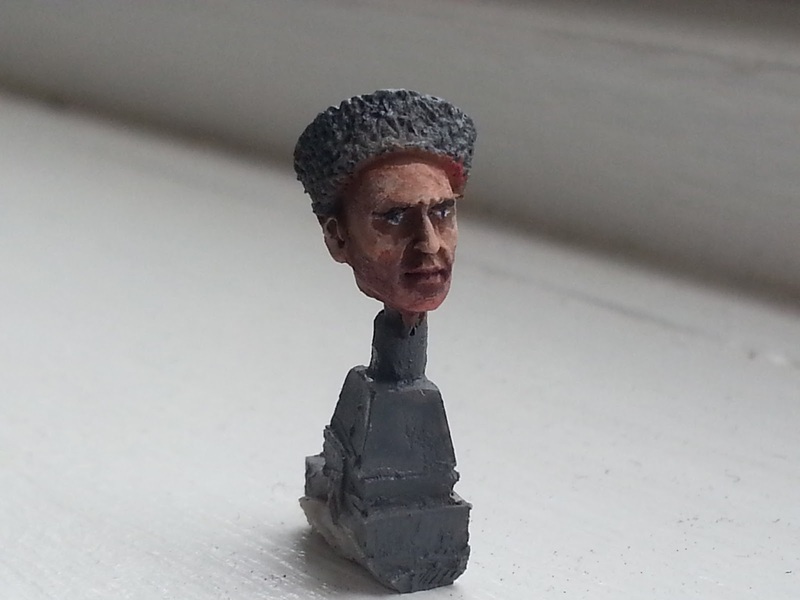 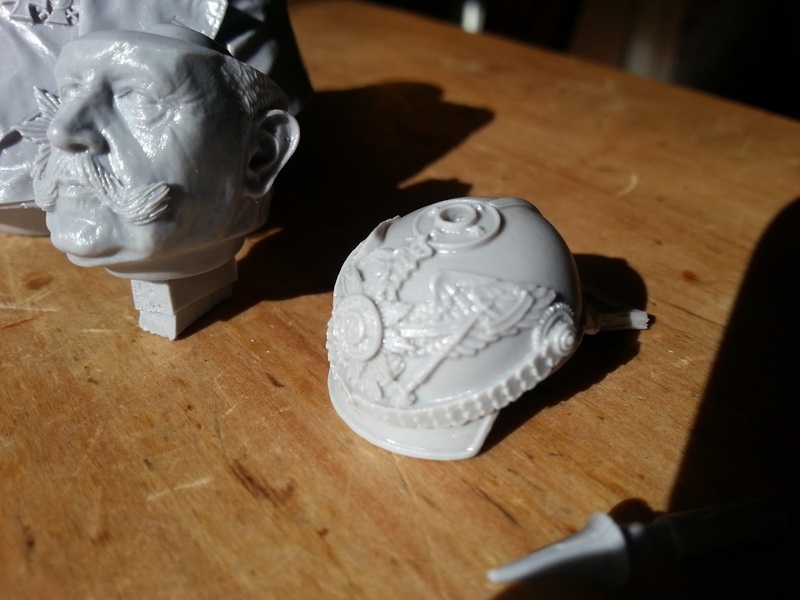 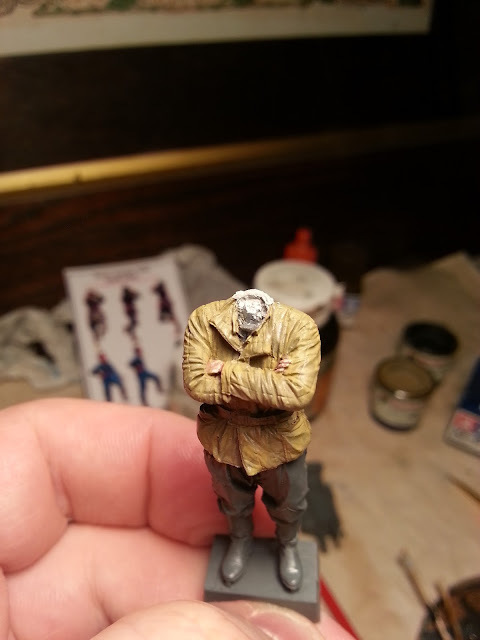 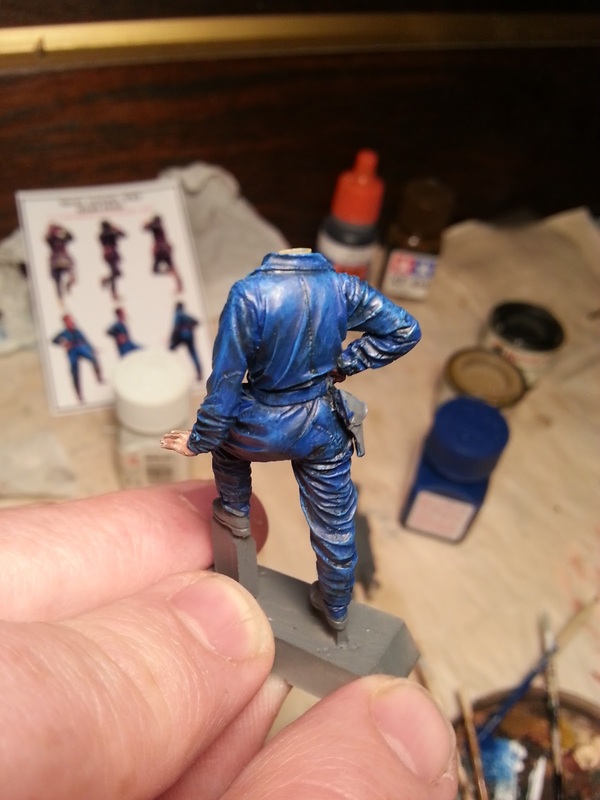 This Soviet officer is about half complete. 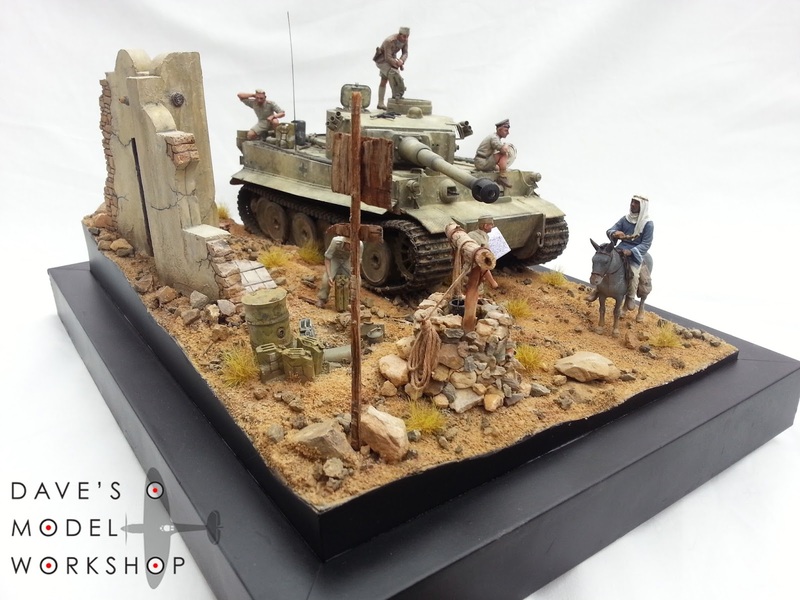 Here are some still photos of my Tunisian diorama, in case yesterday's video didn't give you enough Afrika Korps action. 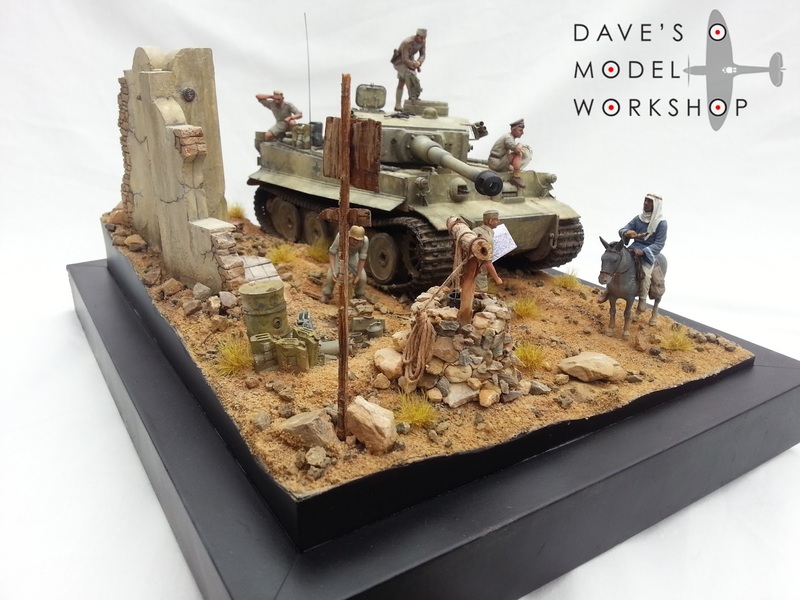 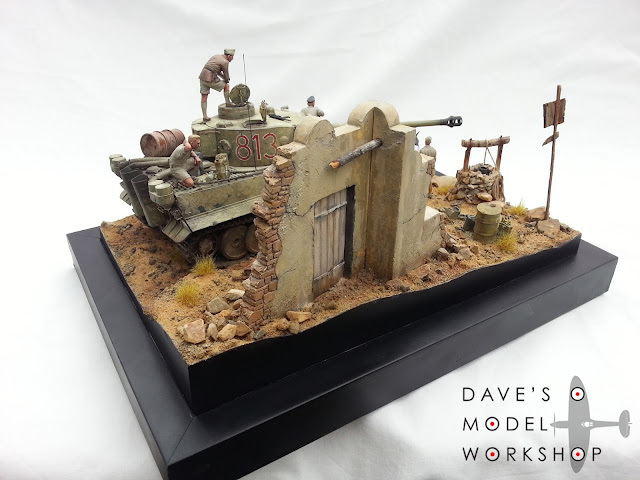 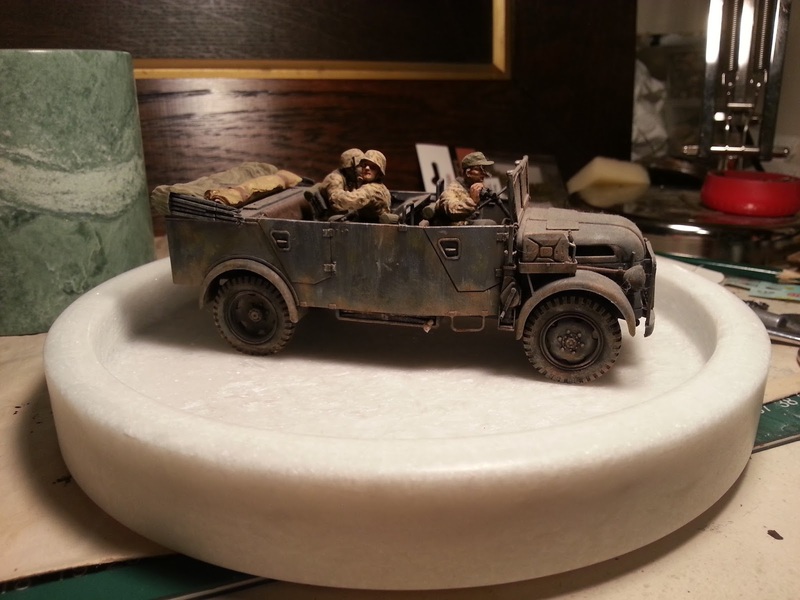 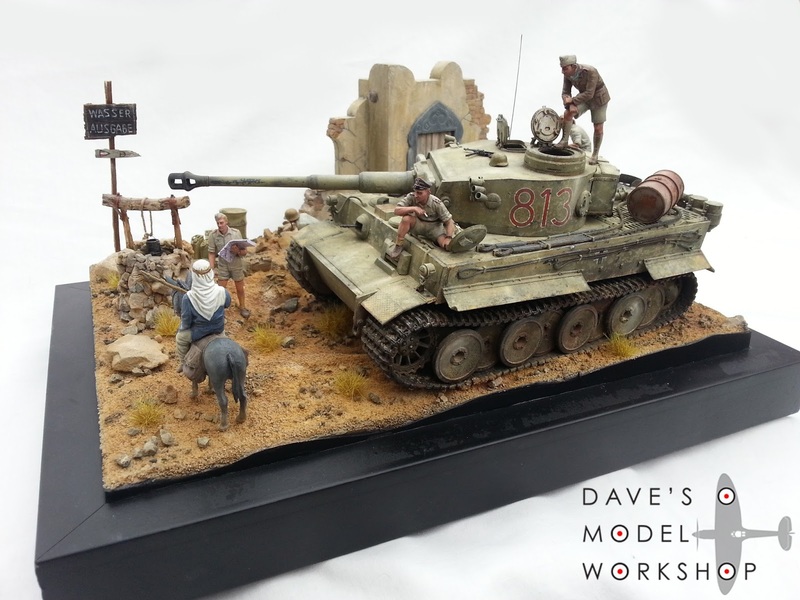 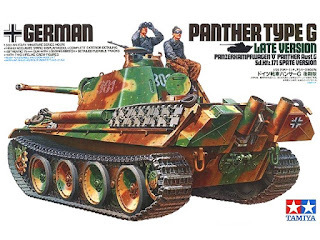 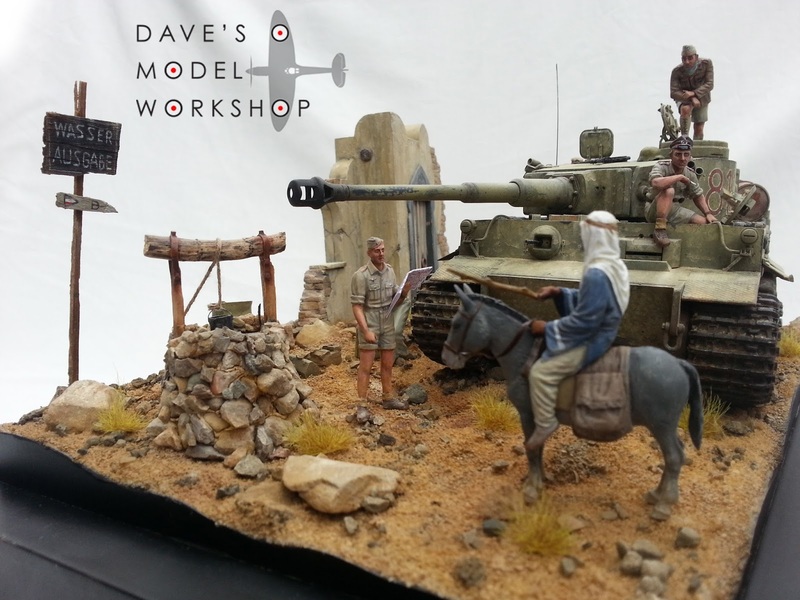 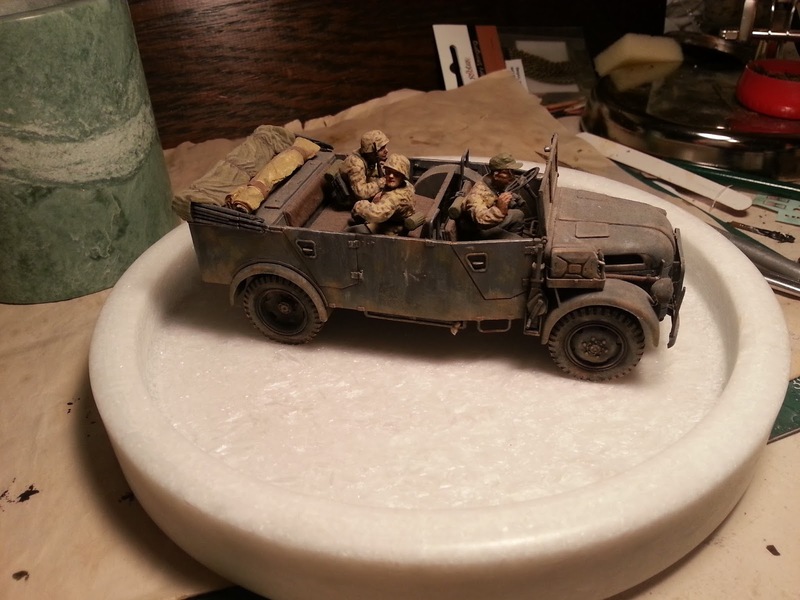 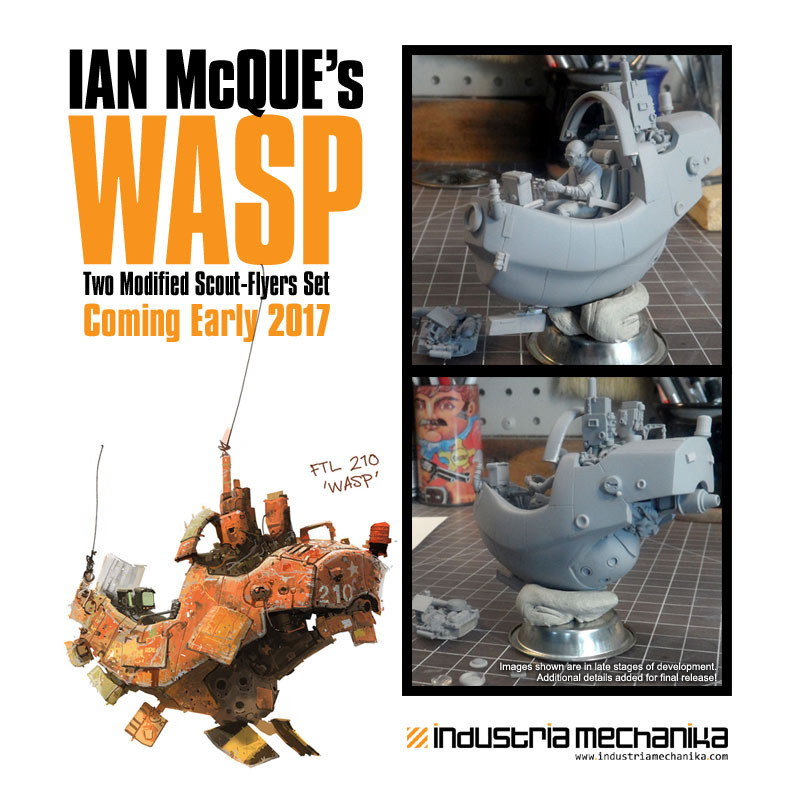 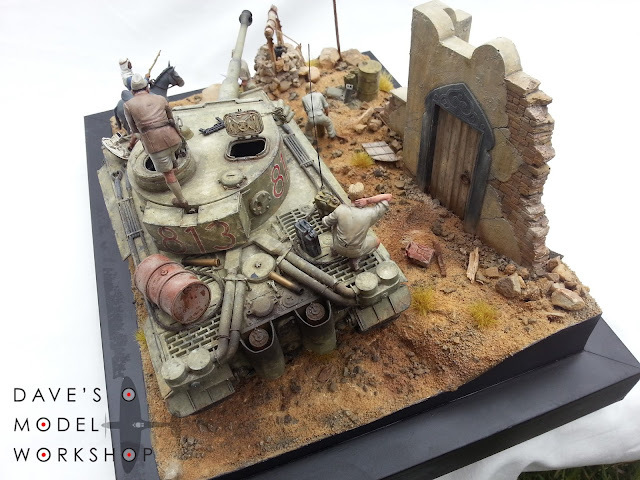 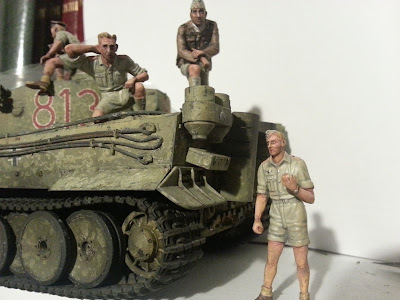 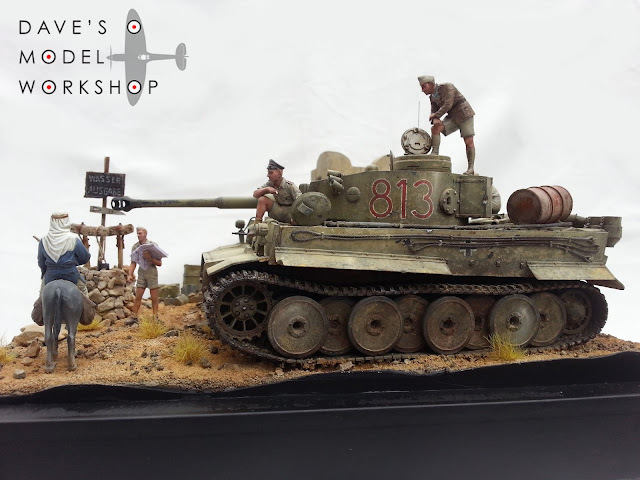 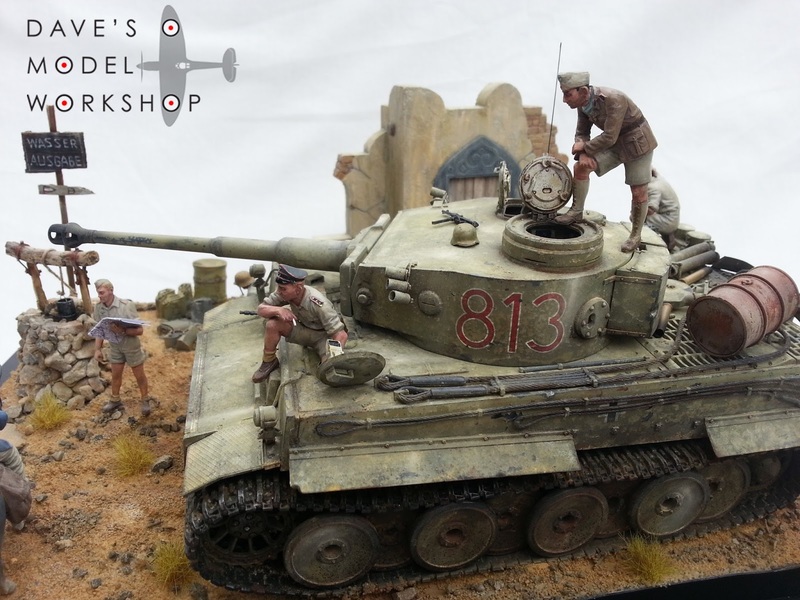 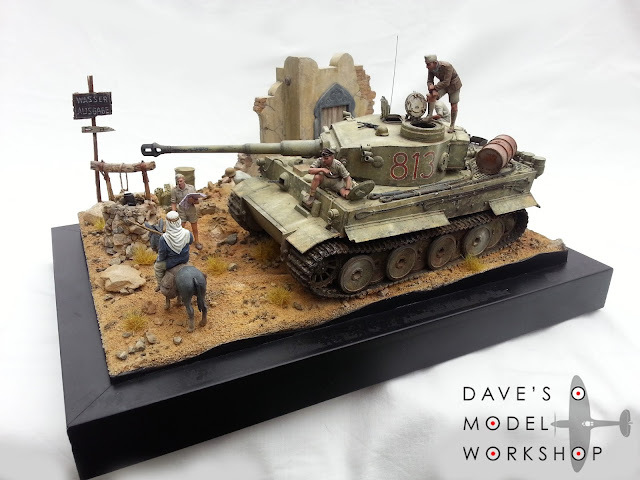 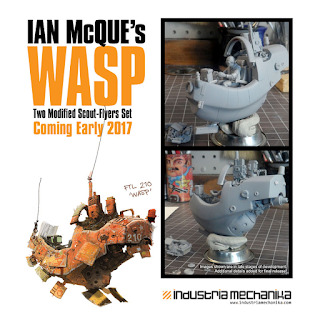 Last night I uploaded a video showcasing my completed Tunisian Tiger I diorama. 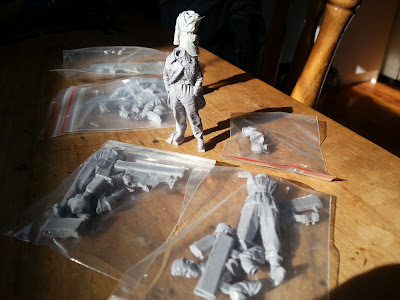 It's got a suspenseful soundtrack, video panning, the whole works. 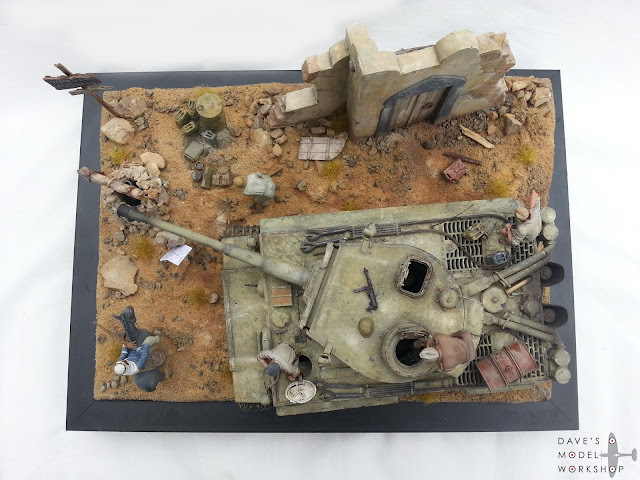 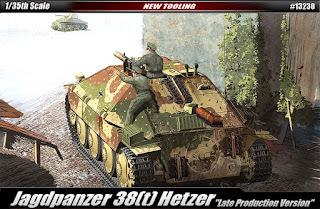 I think it's a good way to give a 360 degree walkaround of the completed diorama. 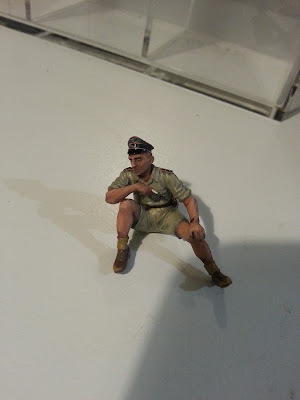 I also included some original WW2 era photos to break up the scenes, just to give a sense of reference and reality to what I have tried to capture. 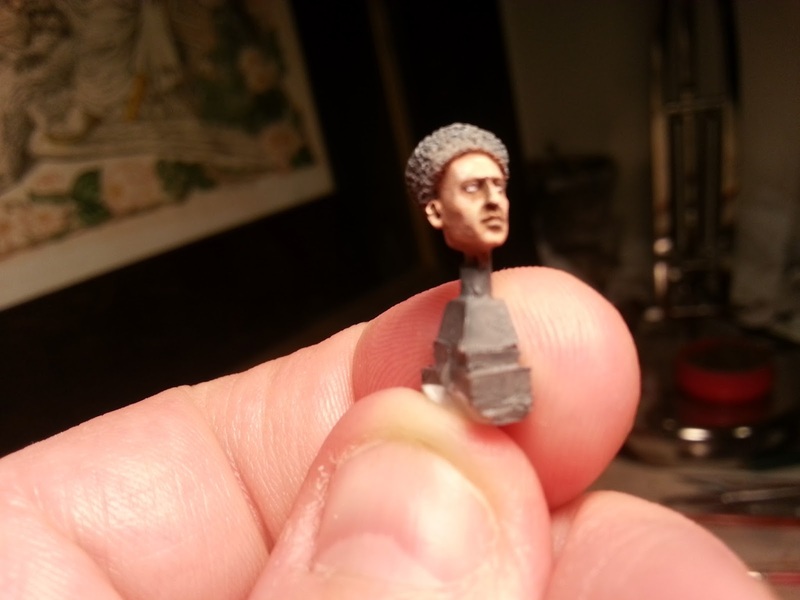 Anyway, enough of me bragging. 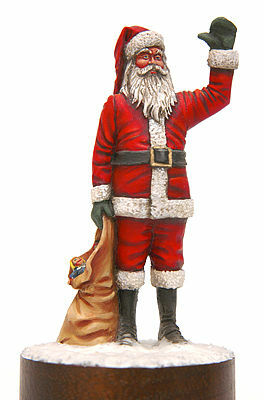 What are you still reading this for? 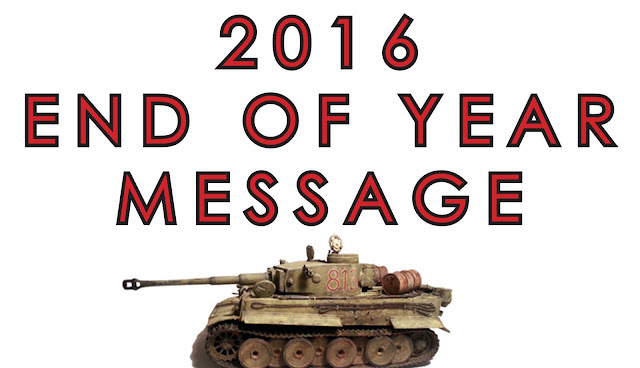 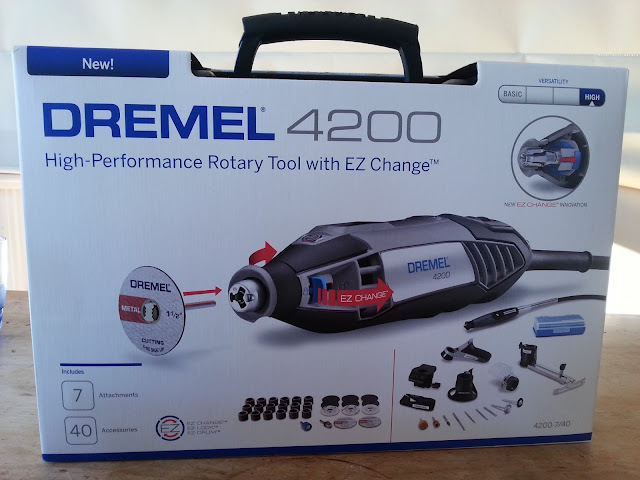 Go and check it out for yourself. 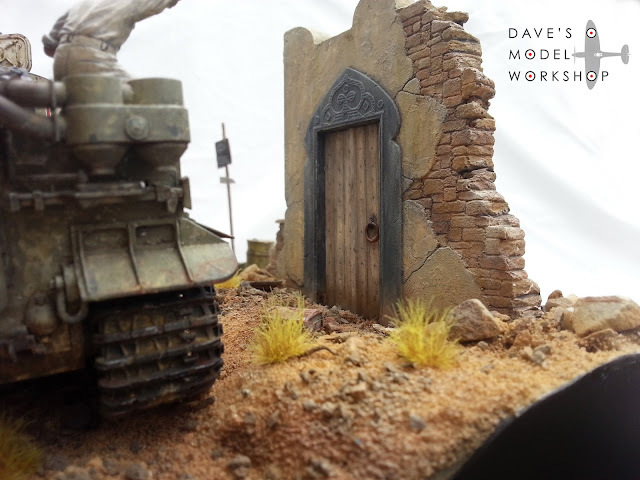 Do please feel free to comment with feedback or a critique of my build. I found these at my local Kmart on the weekend. 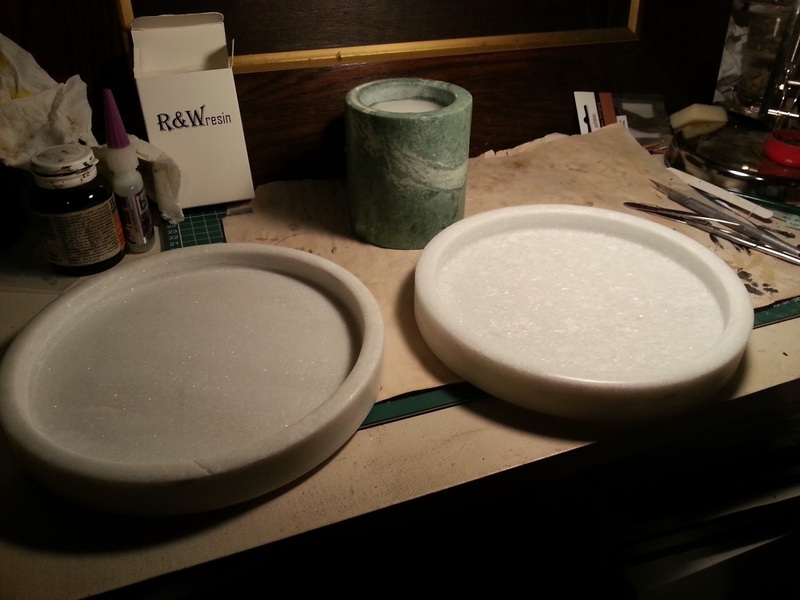 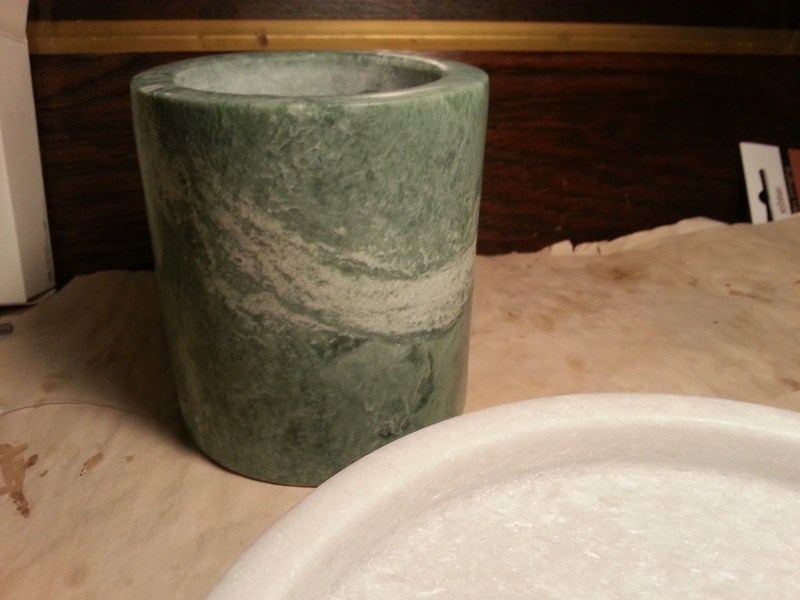 Marble-effect trays (20cm diameter) and a marble-effect candle. 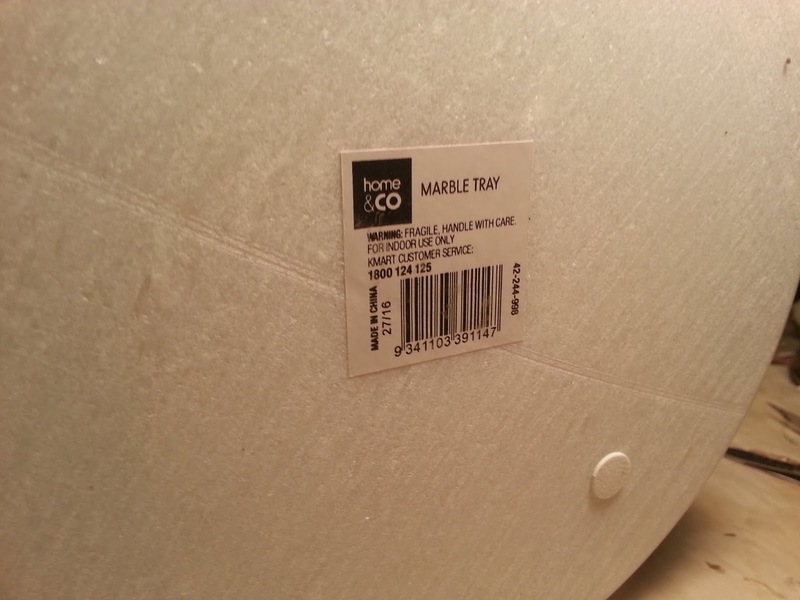 They look pretty good - nobody is believing that they are honest-to-god real marble, but they have a decent solid weight to them and have little protective pads on the bottom surface. 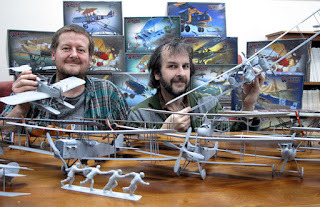 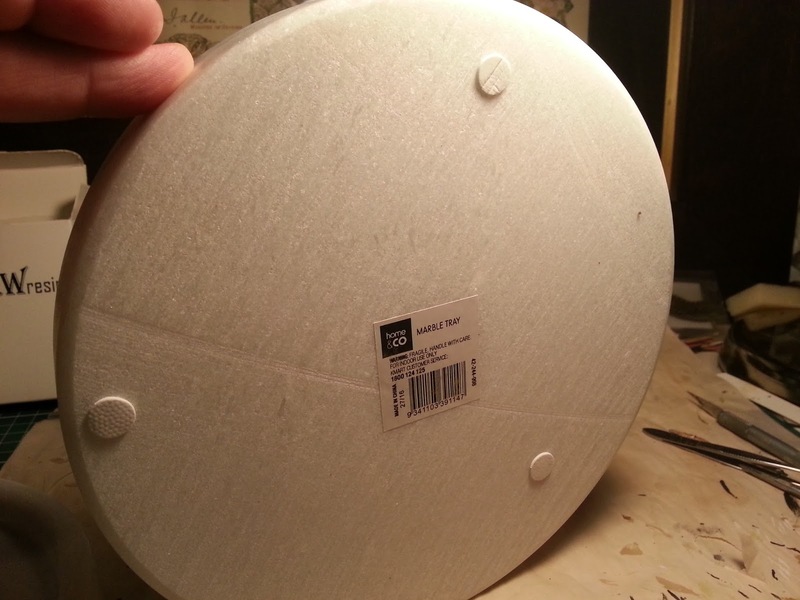 They cost $6 each, so for under 20 bucks I got two round bases perfect for a 1/35 armour diorama, and an upright plinth which will be perfect as a plinth for a 1/10 Hindenburg bust I recently ordered. 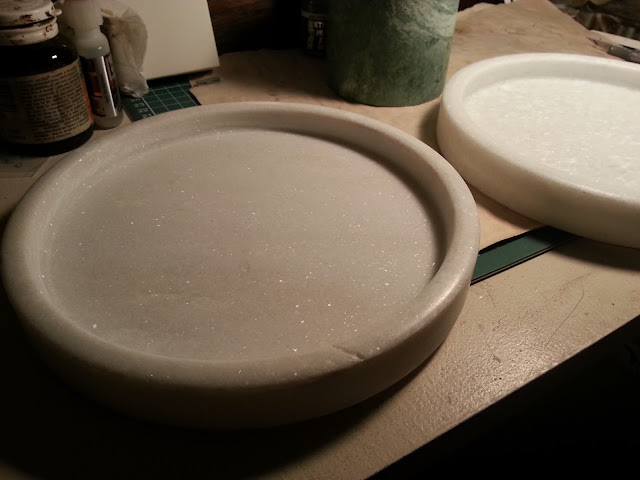 Just add plaster groundwork to the dish, and hey presto! 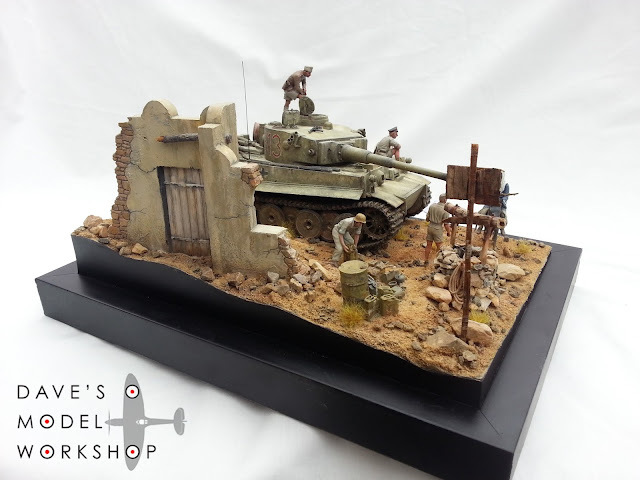 instant diorama. 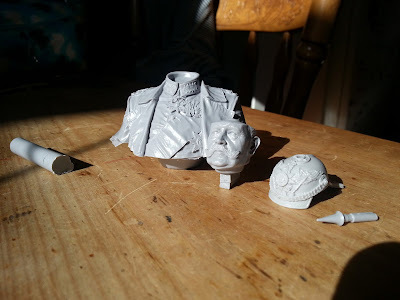 That plinth will do nicely for a 1/10 scale bust. 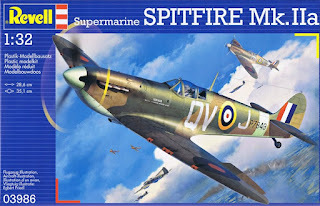 In case any readers want to chase their own down at Kmart. 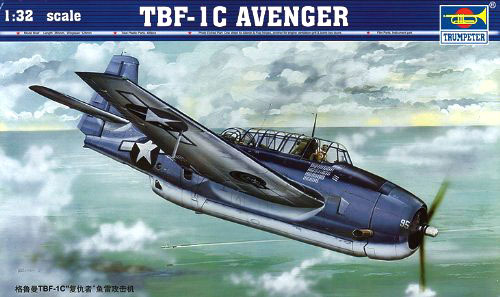 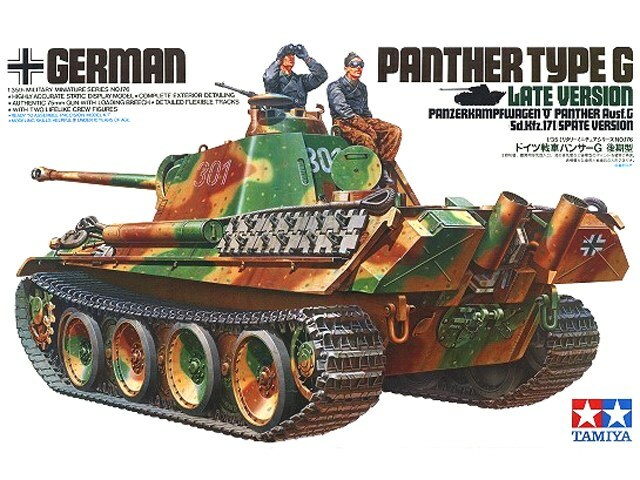 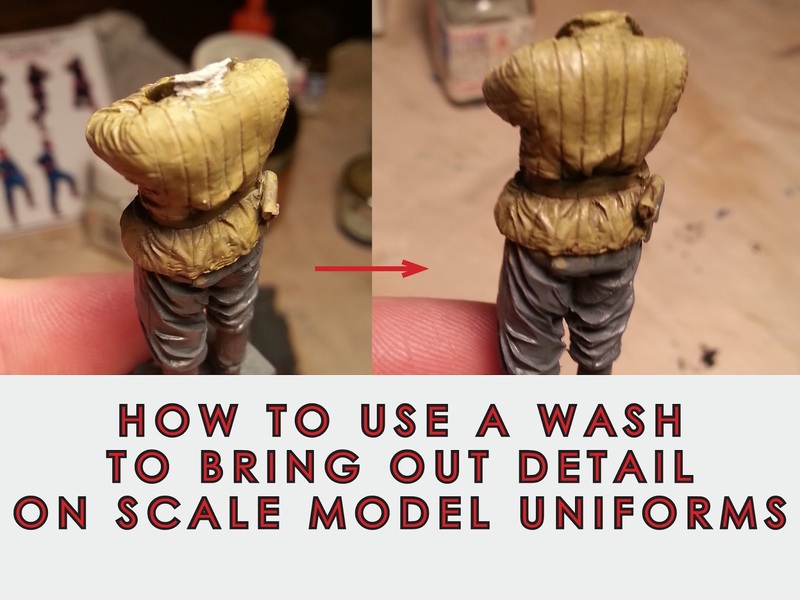 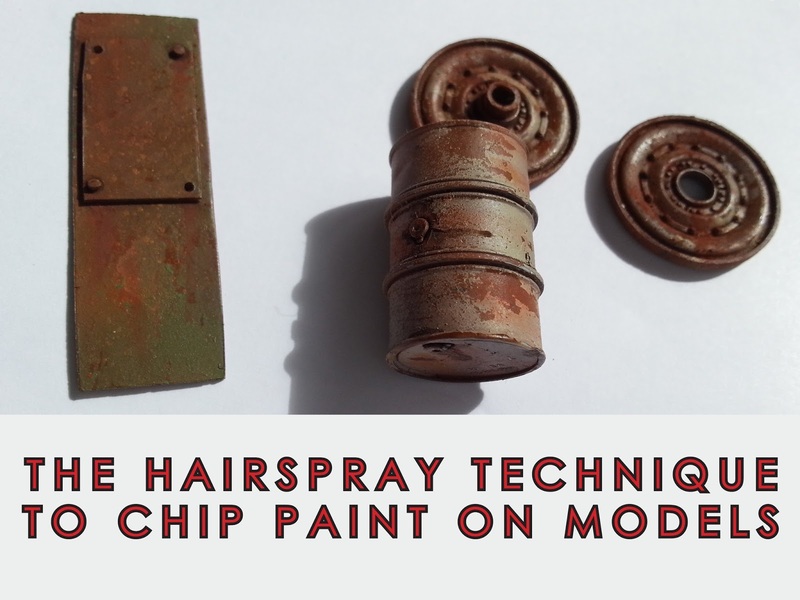 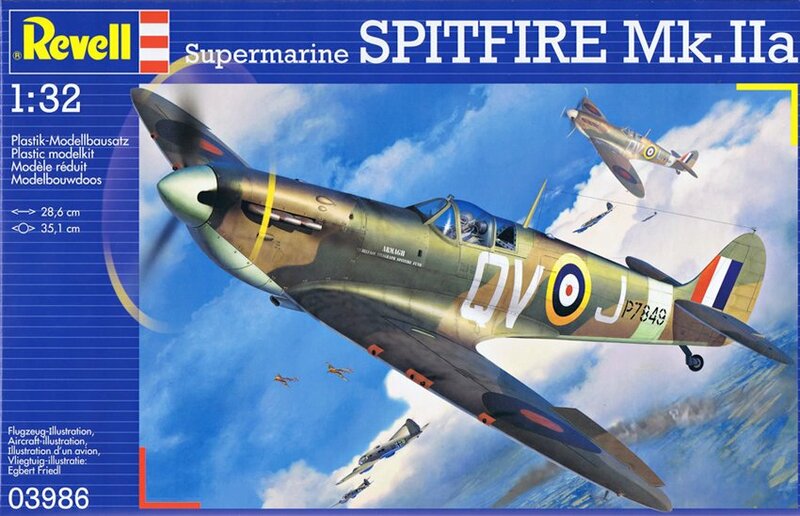 The perfect size for 1/35 armour or vehicles. 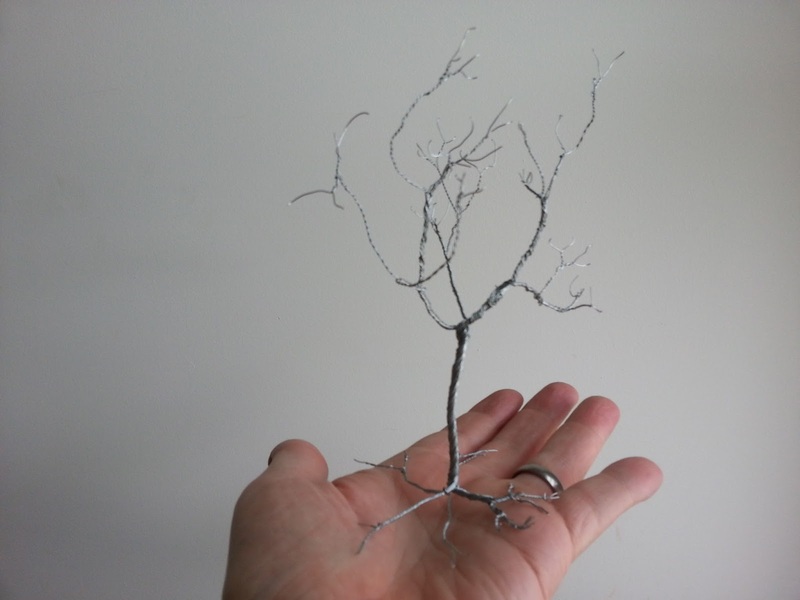 That is Just Meant To Be.